Rust never sleeps. Happy birthday, Kurt. 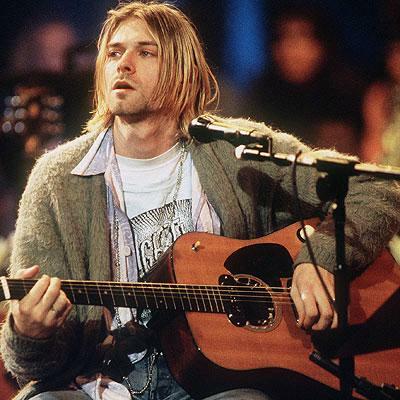 Kurt Cobain would be celebrating his 45th birthday today. Instead, he left us on a cold, rainy day in Seattle back in 1994, earlier than we would have liked, like many of the greats. Perhaps here's where we take solace: It's better to burn out than to fade away. Regardless of how he died and the troubled path that led to that door, Cobain changed music for the better, as he tapped into the angst resulting from over-commercialized everything to give us Grunge. Electric guitar. Electric bass. Thick, heavy drumming. And a whole lot of power chords. And a whole lot of that feeling known as confusion. Because after all, the world around was rapidly changing and no one seem to be grabbing for the podium. Cobain's connection to that pulse was strong and flowing, but perhaps too direct. Maybe he didn't even want to be that plugged in. But he was, which was why so many of us listened, hanging on every screeching word. But while so many of us heard the words of Gen X's spokesman, we could never truly see things on the same plane. Sometimes the sharpest, clearest visions come at the loneliest spots. Misundersood? Yes. Ingenious? Yes. Crazy? At times, yes. Still relevant? Absolutely. We can only imagine what we would have had if Cobain lived through the '90s and into this century. Maybe greatness. Maybe reclusive failure. Maybe everything. Maybe nothing. Regardless, we can still relish in what he did give us with what little time he was given.